Condominiums For Sale | Partners Real Estate Professionals, P.C. Condominiums for sale are in high demand, especially in Livingston County. Being one of the most sought after areas in Southeast Michigan you have got to have the best representation when it comes to the buying process. Partners Real Estate Professionals are all local knowledgable real estate agents, with a reputation that keeps clients and their friends and family all coming back. You want to buy a Condo? Give Partners a call today and trust you can relax, know you will get the very best in service and results. 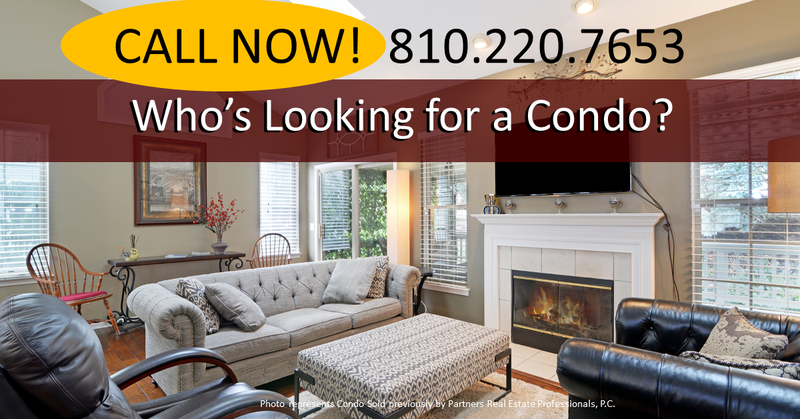 PARTNERS REAL ESTATE PROFESSIONALS | 810-220-7653.